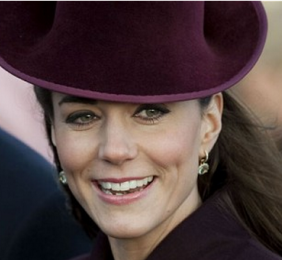 Are Duchess Kate’s £1,900 Diamond And Citrine Earrings Gift From Prince William? Duchess Kate was sporting £1,900 18ct gold drop earrings while attending church service at Sandringham for the first time yesterday. The Duchess of Cambridge appeared to favor the jeweler of late Princess Diana when she added the extra sparkle to her regal plum outfit. It was rumored that the earrings were given by Prince William as a Christmas gift. Meanwhile, Duchess Kate’s knee-length frock coat with black suede heels were reported to be commissioned for the occasion.